Disclosure; This is not a sponsored post, these are my personal diapers. I’m very excited to try GroVia cloth diapers. In addition to recommendations from friends, I am drawn in by the adorable prints and options with these hybrid shells. In addition to the hybrid shells, GroVia has an extensive product line and offers several different diaper styles including All-in-Ones (AIO), Hybrid, and Kiwi fitteds. 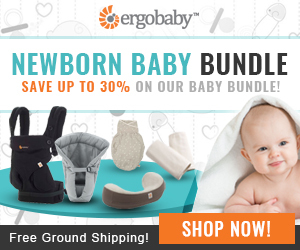 They also offer natural baby products including the GroVia Magic Stick, laundry detergent, pail liners, reusable wipes, leggings and even stainless steel bottles. So what makes Grovia Hybrids a hybrid? These diapers are All-In-Two diapers that come with a waterproof shell and a snap-in insert or prefold diaper. In lieu of the washable insert, cloth diapering parents can use a disposable insert, or biosoaker, that is free of chemicals. Biosoakers are also biodegradable and compostable. So basically it’s a great AI2 with the option to use a disposable insert. In addition to a variety of inserts, GroVia shells come in fantastic solids and prints. Pictured below are Sweetgrass (L) and Drift (R). GroVia shells are one size (OS) and come in either snap or hook and loop closures. I personally love snaps. With a snap closure, the pattern isn’t interrupted by aplix type material – and – my almost 2 year old can’t undo the snaps to go streaking through the house. 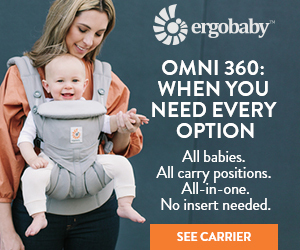 The OS range is 8 – 30+ pounds and they fit both my 34 lb toddler and 15 pound infant well. In fact, my 34 lb toddler has room to grow into his! I have found that with our cloth diapers, then when baby is smaller and more full figured diapers can get a bit snug, then loosen back up once they begin crawling and walking.These shells are versatile and accommodate a wide range of baby shapes and sizes. Unlike an all-in-one diaper, Grovia diaper shells are reusable between washes. Weather you’re using a snap-in Soaker Pad, Prefold or Biodegradable insert, unlike an AIO or pocket diaper, you can often take out the insert and reuse the shell several times before it needs to be washed. This means you can have more inserts then shells and your pumpkin can sport an adorable print for longer. We are getting approximately 3 shell uses before each wash and overall the quality is fantastic. Grovia diapers are “fairly and conscientiously made in China.” (1) The diaper shell is lined with polyester mesh and the outer layer is 100% water resistant polyester TPU. The mesh lining means that baby’s skin never comes directly into contact with the TPU. This is helpful to keep baby’s skin dry and increases air flow while decreasing condensation from sweat that may occur especially during warmer seasons. Grovia snap-in soaker pads come in regular and organic cotton and come in a pack of two. We’re testing out the organic cotton, and for cloth diapering parents who prefer a natural fiber (as opposed to microfiber) the super absorbent soaker pads are a great choice. Soaker pads come two in a package and unlike other soakers, they are backed with a waterproof layer to keep your shell cleaner longer.If you use AI2s and like switching around parts, you should note that Grovia Soaker Pads and Shells only fit with each other. Our other AI2 soaker pads do not snap into these shells, and the GroVia soaker pads don’t snap into our other shells. 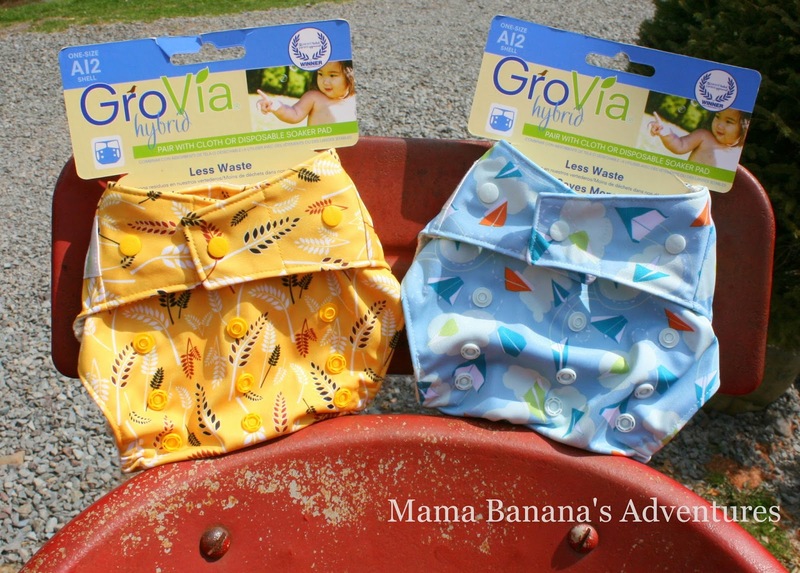 Grovia Prefolds can be used in the shells as well and offer a wide range of sizes and increased absorbency. Cotton is known to be a high pesticide consumption crop and many parents are seeking out organic options to help keep even the clothing baby uses chemical free. 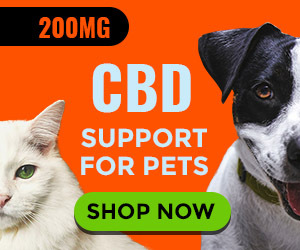 Luckily, Grovia offers this option. The soaker pads seen here are 100% Organic Cotton. The cotton is Institute for Marketecology (IMO Certified) organic cotton jersey which Grovia boasts maintains it’s softness through regular use. (2) Need extra absorbency? Lift the top insert layer and place a booster between the soaker layers, or place a natural fiber directly on top for maximum leak control. Fit. I opened up this blog review to reader questions and comments. Many questions were about Grovia fit. 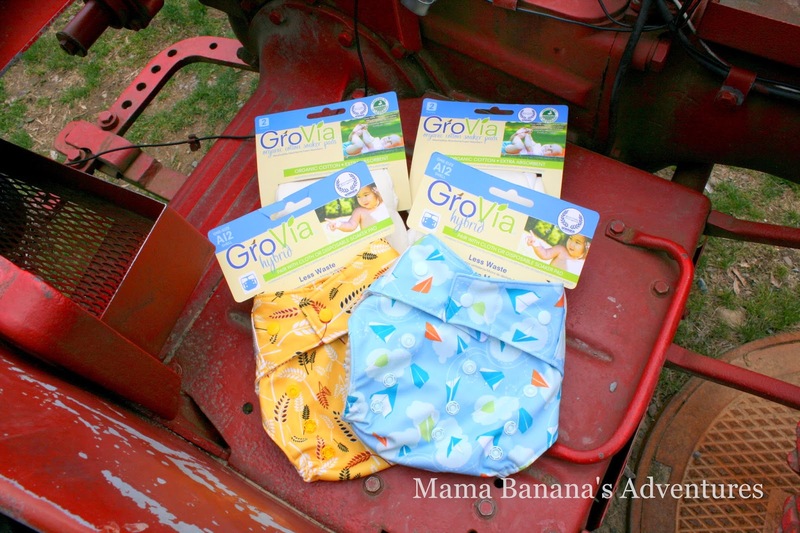 A common question, and in my opinion a misconception, is that Grovia diapers are small or trim. 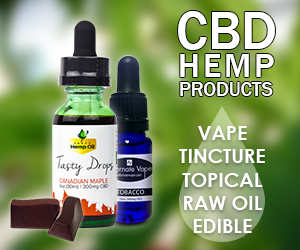 Here are two brand comparisons below. One is to a Bum Genuis 4.0 and an Alva baby OS pocket. As you can see, the Grovia shells are just as big, if not a tad bigger then these brands. They fit both my toddler and infant well and even have room to grow! (Which is GREAT because these prints are amazing). The waist adjusts with a single row of snaps (on the snap diapers) and if you notice below, Grovia has added a special touch and has brand buttons on the closure. The waist snaps even include the option to snap over for newborn fit. If you have hook and loop diapers, otherwise known as velcro (brand name) or aplix, and wish to convert to snaps…Grovia offers that service too! Cloth diapers are a worthwhile investment. GroVia offers a warranty that covers”… all manufacturing defects on GroVia products for one full year from the date of purchase. The warranty is extended to the original owner of a product with a receipt showing purchase from an authorized GroVia® retailer.” So don’t lose your receipt, and know that your purchase is protected from any manufacturing defects. (3) Better yet, order online and take a screenshot of your receipt and save it in your computer. Less paper, easier to keep track of. Another reader asked if GroVia diapers require any special preparation before use. Yes! When using natural fibers like cotton, it’s recommended to wash 5-6 times with detergent on hot and tumble dry. This helps to remove any natural oils found in the minimally processed cotton and allows for maximum absorbency. Brand new unwashed diapers may repel liquid a bit and make them seem less absorbent then they truly are. The shells don’t require any special preparation and are ready to go! I’ll leave you with this great video from the GroVia website and as always, thank you for stopping by and I’m happy to answer any questions. Have a wonderful day!